Pinterest… you always trouble me. I am totally guilty for pinning and bookmarking this one. These are just so crispy and juicy and perfect. I had to try these for myself. I love zucchini (its probably one of my favorite veggies) and because these are all pantry items this recipe is so easy, and can be made on a whim! In an assembly line have zucchini slices, eggs, flour, and panko ready. 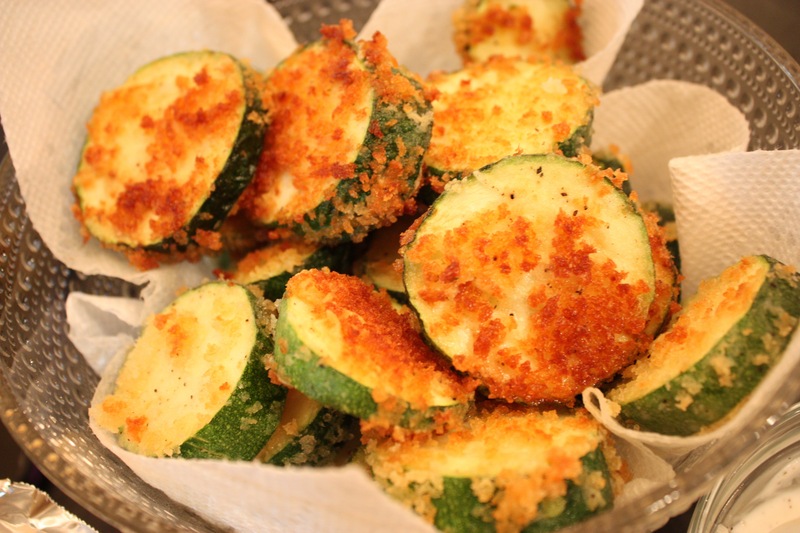 Dredge zucchini rounds in flour, then dip floured zucchini in the beaten egg, then panko bread crumbs. Heat a large, non-stick pan over medium-high heat and add about ¼” oil (enough to generously cover the bottom). 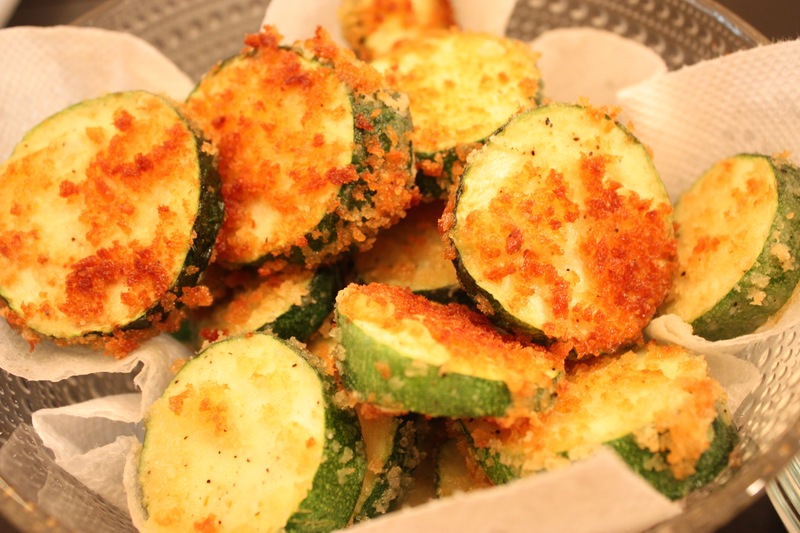 Once the oil is hot, add breaded zucchini chips and saute about 3 minutes per side or until golden brown on each side. 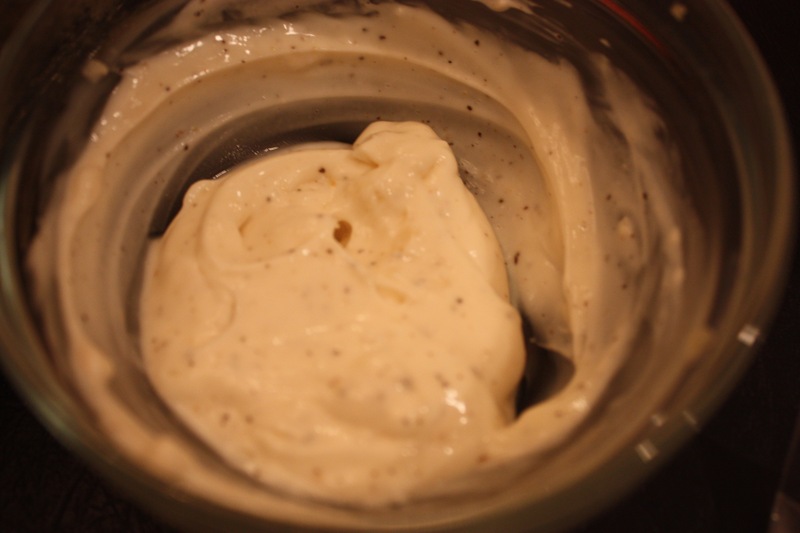 If browning too quickly, reduce heat. Once zucchini are done frying, transfer them to a bowl or plate lined with paper towels and serve them warm with the prepared aioli sauce. YUM!!!! Seriously guys. Thanks Natasha! We have waited 10 long…loooooong…months for this time! I have our hospital bag packed and ready to go. Our video camera charged and ready to film. Her bassinet has a brand new, clean, adorable sheet on it. Her diaper changing station is organized and ready to be used. All clothes hung so sweetly in her closet. Her carseat installed properly. For 9 months I just could not wait for this finish line! I couldn’t wait for the end of the sciatic nerve irritation to be eliminated; for the carpel tunnel to disappear; for the trigger thumb to heal; for the water retention to evaporate; for the weight gain to dissipate and for sleeping on my belly like a normal human!